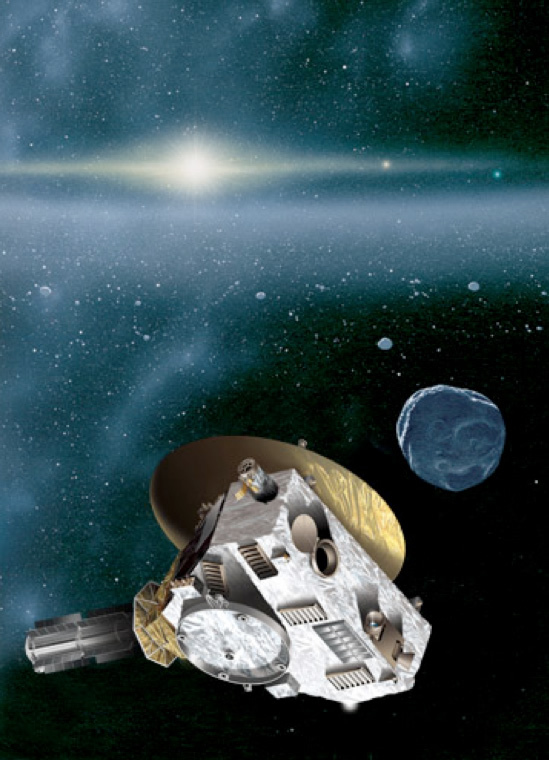 New Horizons hopes to explore beyond Pluto, deeper into the ancient and unexplored Kuiper Belt. On April 30, New Horizons exited its most recent hibernation period, which lasted from late January through all of February, March and April. The spacecraft and our mission operations team are now beginning an intensive, two-month long series of activities that are the centerpiece of our 2012 mission operations. Those activities include thorough checkouts of every prime and backup system on the spacecraft, checkouts of all seven scientific instruments, calibrations of the entire scientific payload, two major flight-software updates and a rehearsal of the most intensive day of the Pluto encounter. The first software update involves about 20 bug fixes and enhancements for our fault protection and autonomy system; the second is an enhancement to our LORRI (Long Range Reconnaissance Imager) instrument, giving it the ability to detect in real time which images have close-up planets and moons in them as we make flybys. In addition to these activities, the spacecraft will also be tracked extensively to refine our knowledge of its trajectory and determine if a course correction is needed next year. Also, a series of computer table and flight plan updates will be loaded into our main (and backup) command and data handling computer to take the spacecraft through its next hibernation, which will last from early July into early January 2013. As some of you might already know, it will take about a year to get all of the Pluto encounter data back to Earth after we complete the main flyby science in early August of 2015. That's in part because we're taking a lot of data, and in part because we're very far from Earth at Pluto, so the data transmission rates are necessarily low. Following that long series of data downlinks, we'll perform a post-encounter instrument payload calibration that will help get the most out of the flyby data, and we'll send that data home. At that point, our main mission — the exploration of the Pluto system — will, at long last, be complete. However, in 2013 or 2014, we plan to propose to NASA that we carry out further explorations after Pluto. If NASA approves that effort (as recommended in the planetary decadal survey of the National Research Council), New Horizons will explore one or two ancient Kuiper Belt Objects (KBOs). We are currently in the midst of an extensive search to find suitable KBOs that are within reach of our expected post-Pluto fuel supply. Based on that predicted fuel supply (about 34 kilograms, or just over 40 percent of what we launched with), we estimate that will likely be able to choose between several reachable KBOs if our searches are successful. This is a tough search, for two reasons. First, the only KBOs within our reach are likely to be small, roughly 50 kilometers in diameter. Because they are small and far away, they will be faint as seen from Earth. In fact, calculations show that the KBOs we need to find are going to be about 25,000 times fainter than Pluto, which is itself about 10,000 times fainter than the eye can see. This means we have to search for objects with the largest telescopes and most sensitive astronomical cameras on Earth. 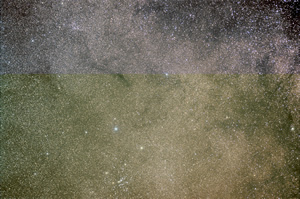 The second factor making the search tough is that our trajectory is pointed at the heart of the Milky Way's densest star fields — those of the galactic center in the constellation Sagittarius. So our search is kind of a “needle in a haystack” hunt for very faint objects slowly moving against regions of the sky thick with stars! 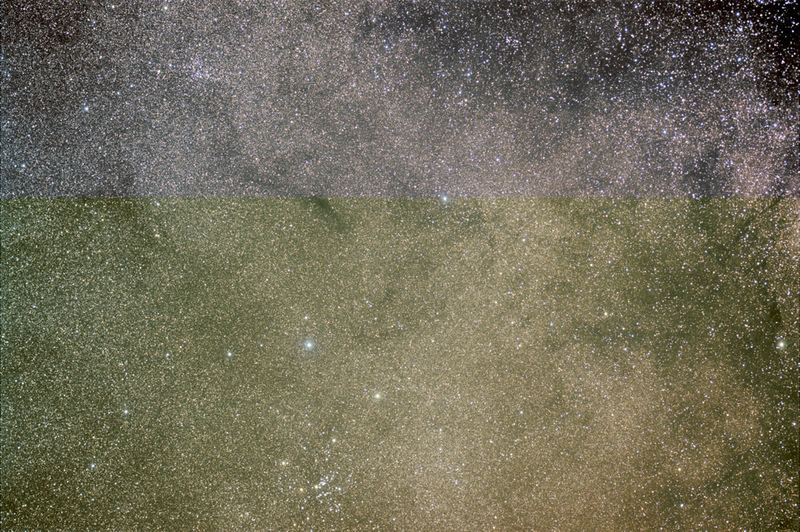 Here's an image of Sagittarius made by a large telescope in the Canary Islands. The KBOs we're searching for are fainter than the stars you see! We began our KBO search last year and have been using telescopes like the giant Keck, Gemini, Subaru (Japanese) and Magellan observatories. So far those searches have discovered about two-dozen faint KBOs in those dense star fields. Unfortunately, none of the KBOs found so far are close enough to be within reach of our fuel supply. However, computer model predictions indicate that with one or two more years of such a search, we should be able to find at least one, and more likely several reachable KBOs. After we find them, we'll study those flyby candidates to compare them against one another for their brightness (a crude measure of their size), colors, rotation periods and orbits, and to see if any have obvious moons. Then, in 2015 – assuming NASA approves our extended mission as we hope – we'll select our actual flyby target (or two targets, if we get lucky!). Once we choose the first target, we'll plan the engine burn — most likely in September or October of 2015 — that retargets our trajectory toward that soon-to-be explored KBO. Calculations show that it will most likely take three or four years—and perhaps even a bit longer — to reach our first KBO. So based on the most likely scenario, we expect a flyby in 2018 or 2019, though it could be as early as 2016 or as late as 2021. Currently, New Horizons is healthy and isn't using any of its backup systems, and New Horizons has the power and technical capabilities fly late into the 2020s or even into the 2030s if its health remains good. Moreover, all of our scientific instruments and our onboard spacecraft system were designed to work even at the far edge of the main Kuiper Belt, which we'll reach in about 2021. So there aren't any technical obstacles to KBO flybys once we find good targets. Along the way to our close-up KBO flyby or flybys, we will be using New Horizons to study the environment of the Kuiper Belt. Of most importance will be studies of the dust particle distribution created by KBO collisions as well as the composition and density of the solar wind and heliospheric hydrogen in this distant region. We also expect to make distant flybys of several KBOs (1 million to 10 million kilometers from our spacecraft) to search for satellites they may have. From that range New Horizons can search for KBO satellites more sensitively than any ground-based telescope or the Hubble Space Telescope. We plan to fly past any target KBO at about 10,000-25,000 kilometers — as close or perhaps twice as far as we'll fly past Pluto. So the images of these KBOs — ancient building blocks of the planets — should be similarly detailed to our imagery of Pluto and its moons. However, the KBO flybys won't be as extended as the multi-month Pluto-system exploration we have planned for 2015. The main reason for that is that we'll only be near enough to these much smaller bodies to start useful scientific observations just a few weeks before we reach them. Still, we'll be able to map their surfaces, surface compositions and surface temperatures, explore their moons or rings, measure their masses, and search for any atmosphere they may have — no matter how unlikely. Since no other Kuiper Belt mission is planned — either by NASA or by any space agency — New Horizons is very likely to be the only spacecraft that will explore KBOs in the lifetime of most people alive today. An artist's conception of New Horizons making a KBO flyby near the far edge of the Kuiper Belt in the late 2010s. (KBO artwork by space artist and planetary scientist Dan Durda). And what will become of New Horizons after it leaves the Kuiper Belt? It's possible that NASA could approve a second extended mission, allowing New Horizons to explore the deep heliosphere as the two Voyager spacecraft are doing now. Although we won't get as far as the Voyagers before we run out of power, we expect New Horizons can operate successfully out to about 90 or 100 times as far from the Sun as Earth. That would allow us to probe this area of our planetary system with our Solar Wind Around Pluto (SWAP) and Pluto Energetic Particle Spectrometer Science Investigation (PEPSSI) instruments – the most sophisticated and sensitive space plasma instruments ever flown to this distant region – and to explore the distribution of dust in this region for the first time using the Venetia Burney Student Dust Counter (SDC). Other science involving our LORRI and Ralph imagers, Alice ultraviolet spectrometer, and our radio science experiment (called REX) will also likely be possible. So, there could be many years and many kinds of explorations in store for New Horizons after we make the first exploration of Pluto and its rich system of moons – just over three years away. That's my update for now. Thanks again for following our journey across the deep ocean of space, to a new planet and a truly new frontier. Until I write again, I hope you'll keep on exploring—just as we will!